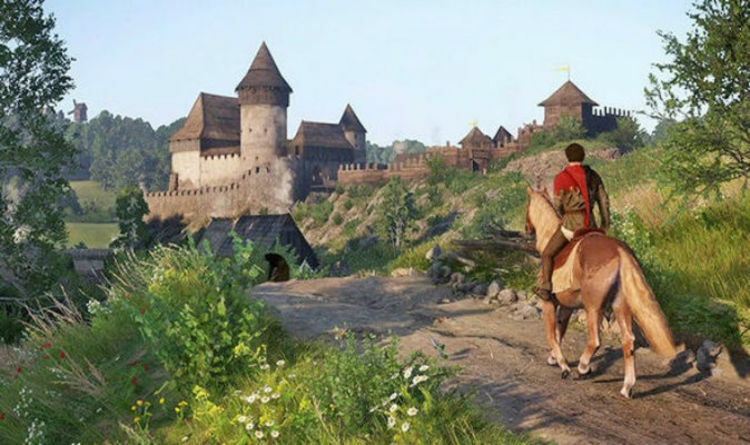 Console fans are waiting for the next big Kingdom Come Deliverance patch to arrive. Included in it should a be a host of fixes that are badly needed, with quest-breaking bugs stopping player progress. KCD 1.3 is already out on PC, with developers Warhorse handling the Steam version and QuickSilver handling more of the console stuff. And there’s been some big release date news confirmed this week for those waiting for the PS4 and Xbox One Kingdom Come update. Warhorse’s Daniel Vàvra has announced that for console players, the new patch will probably arrive in the next week. The 1.3 patch has been in the console certification process since March 9, and barring the weekend that could mean a launch on Friday. “Patch info time! 1.3 for consoles is being certified,” Vavra reveals. While Vavra doesn’t provide an exact date, the console certification process usually takes around 5-10 days, depending on what kind of problems are found. The Xbox One is known to take longer than the PS4, so we could see something arrive this week on one platform, and the patch on another the week after. Fans will be hoping for the new update to arrive as soon as possible, as it includes some big changes. The game’s Save and Exit process will launch with the new patch, as will an Improved lockpicking system. The game now has Save and Exit feature.Saving is much more robust and saves won't get corrupted even if the game crashes while saving.Performance improvedLoD switching tweaked, reducing pop-in and improving texture streaming.Stuttering in some areas reduced.Slightly smoother framerate on Vsync 30. (Consoles and some PCs)Improved lockpickingNew interface design makes it much easier to hold the sweet spot while turning the lock.Easy and Very Easy trunks are now easier to lockpick when playing with a controller. (Mouse difficulty unchanged)Improved pickpocketingYou will no longer get caught if you stop at the beginning of the minigame. (Unless someone sees you)The risk indicator is now much more precise. When green, you are sure not to get caught.Alchemy bench will no longer shoot you into the air.The last quest with Lord Capon is now visible on the map when he is ready to assign it to you.Guards won't frisk you so often.Your horse shouldn't get stuck when jumping fences.Horse items are cleaned along with player items in bathhouses.You can see when looking at a bed whether it will save your game.You can sleep on beds without having to sit down first.Levelling up stealth by sneaking past enemies is more consistent.Sneaking past sleeping NPCs is now easier.Some easily accessible trunks with extremely good loot have been removed.Cave mushrooms can now be found in many other damp places.You can no longer autocook potions that you haven't brewed by hand at least once before.German voiceovers will no longer cut off in mid-sentence in cutscenes.Late game player strength tweakedSome combat perks that were unintentionally overpowered were tuned down.Weapons scale less with high-level stats.It should now be much harder to kill high-level enemies with one hit. (Unless they're helmetless. Stupid Runt...)Other combat system tweaks"Untargeted attack" exploit fixed.Enemy combat archery AI improved.Guards now react to combat more aggressively.